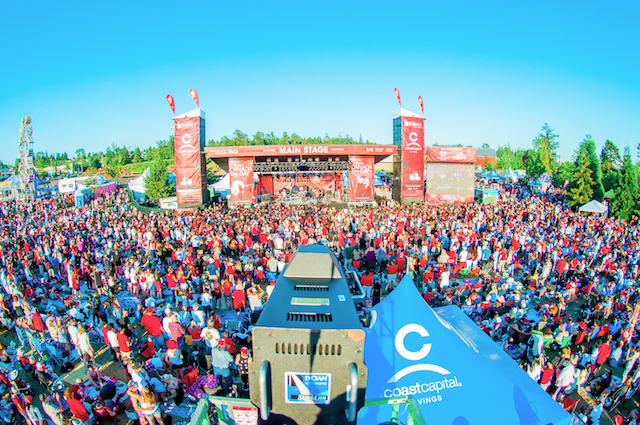 Celebrate Canada’s birthday with over 100,000 others at one of the country’s largest Canada Day festivals at Surrey Canada Day. Admission: FREE! You can also purchase tickets for the midway rides, and snacks from the many food trucks and vendors on site. Presented by Coast Capital Savings, this year’s free family-friendly event—featuring an amusement park, midway games and interactive activities for all ages—is expected to be the largest Canada Day event in Western Canada, welcoming over 100,000 throughout the day. 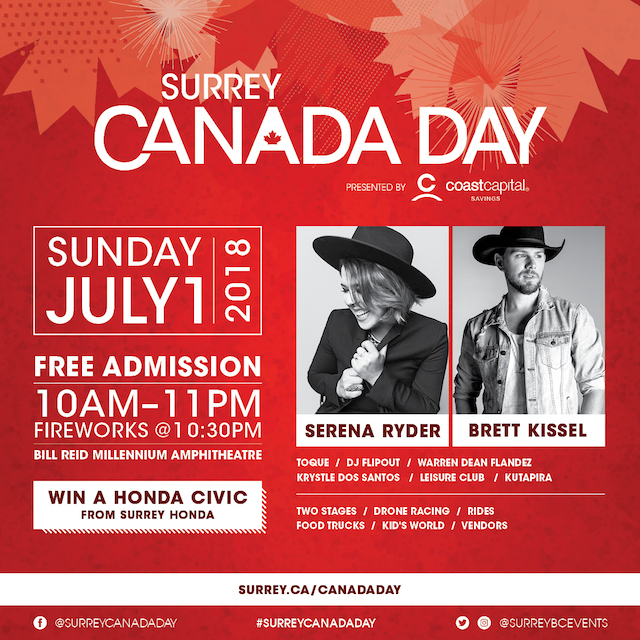 Serena Ryder and Brett Kissel will headline Surrey Canada Day 2018! Additional musical guests include Toque, Warren Dean Flandez, DJ Flipout and Krystle Dos Santos. New to the event this year is the Maple Leaf Stage presented by Tim Hortons, featuring performances by emerging Surrey talent. Additional features include an Indigenous Village, drone racing, amusement rides, food trucks and a kid’s zone. I will draw one winner at random from all entries at 12:00pm on Wednesday, June 20, 2018. Follow Surrey Canada Day on Facebook, Twitter, and Instagram for more information. Update The winner is Sabrina! This would be so much fun! Happy Canada Day! Would So love to meet her, Ive seen her play live Many times and its always thrilling! So excited you’re coming to Cloverdale for Canada day!! I’d love to meet serenaaaaaaaaa!! !